A delicious healthy meal that provides an excellent balance of protein and key nutrients for sustained energy. Formula 1 Free From soy, lactose and gluten provides the same benefits as the original Formula 1 shake, but is free from lactose, gluten and soy, so those who are intolerant to these allergens can make up the shake to suit their needs (see directions for use). Each shake is calorie-controlled, providing less than 230 calories, health-protecting antioxidants, fibre, pomegranate and blueberry and Pisane®, a vegetable protein sourced from pea. Formula 1 Free From soy, lactose and gluten contains 22 vitamins and minerals including B-vitamins, which are important to support the normal metabolism of nutrients. 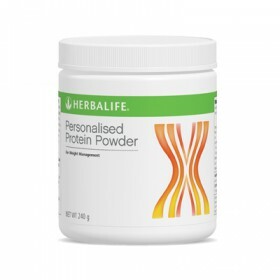 For weight control: Replace two meals per day with a delicious shake and eat one nutritious meal. Store with lid closed in a cool, dry place.